Pro Deck is a design and construct business that specializes in outdoor living environments. We have been in business since 1994. We are experts at design, consultation, and installation of many aspects of outdoor living including, poolside cabanas, outdoor fireplaces and kitchens, arbors, stone or patterned concrete patios, composite decks, pool remodels, etc. It is our love for the outdoors that inspire our creations. Lawn Master specializes in the manufacturing and installation of outdoor living products meant to be enjoyed for years to come. Backyard Escapes mission is simple: to be the most respected and successfully operated company while providing backyard structures that add value to our clients and create a place where families can gather and enjoy life. Our company began with a simple mission; improving homeowners lives by helping them save money and hassle with energy efficient, durable roofing. With our initial success, we moved to Joshua in 1984 and diversified into patio covers, siding, and windows.1993 brought the introduction of our very own metal roofing system, TESCo SL 1000. Designed especially for residential customers, TESCo SL 1000 has been widely recognized as a roofing system that is second to none when it comes to durability, energy efficiency, and weather resistance. In addition, TESCo SL 1000 is Underwriters Laboratory Certified and is an approved Class 4 Impact Resistant roof with the Texas Department of Insurance. 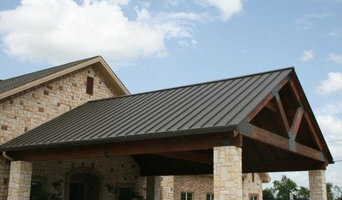 Over the past 30 years we have developed a reputation as one of North Texas’ leading roofing companies. Our A+ rating with the Better Business Bureau is a testament to the expertise and knowledge of everyone on the TESCo team. 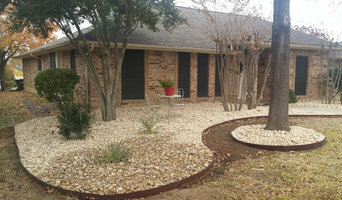 Paloverde Landscape & Lawn Services offer comprehensive landscaping and maintenance services for all of your outdoor needs. Whether you have an existing landscape that simply needs to be re-freshed or if you would like to create a whole new look for your yard or property, our experienced team can handle the job! From flowers to trees to lush green grass, let us help you add life, color and curbside appeal to your home. From a Sun Room Addition remodel for your home to a Hot Tub or Spa for hydrotherapy in your own backyard ... a Patio Cover to Shade Structure ... At Coleman Bright Ideas for Your Home! and SPA!EXPO, we strive to bring you the finest in products, design and service. A Little Bit of History from back in 1958, a little part-time business was growing rapidly from customer referrals. Patio covers and window awnings soon evolved into much more. Tremendous pride was always taken in whatever we did and truly caring about our customers was "The Coleman Commitment." Today, fifty five years later, customer referrals remain the foundation of our success ... and "The Coleman Commitment" is as strong as ever. 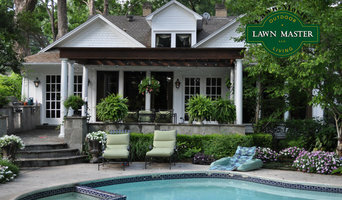 Creating beautiful backyard living is something we take very seriously ... from start to finish. What we do and how we do it is as exciting and satisfying as the pleasure it brings to our customers and friends. 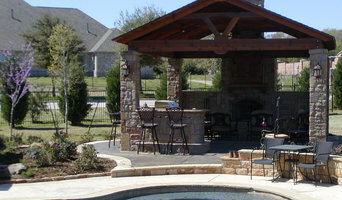 Full service design-build for residential and commerical outdoor living and recreation. Some contractors in Italy, TX can custom design and build any type of outdoor structure, from decking to pool houses, while others specialise in a certain area. A deck, patio and outdoor structures contractor will typically survey your space and come up with a design that complements your backyard and the exterior of your Italy, TX house. 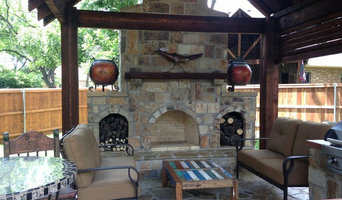 Find an Italy, TX deck, patio and outdoor structure pro on Houzz. Scroll through this page to professionals in your area that can design, build and supply materials for all types of outdoor structures. You can browse their latest projects, read reviews to see how other homeowners rate their work, and message them directly.